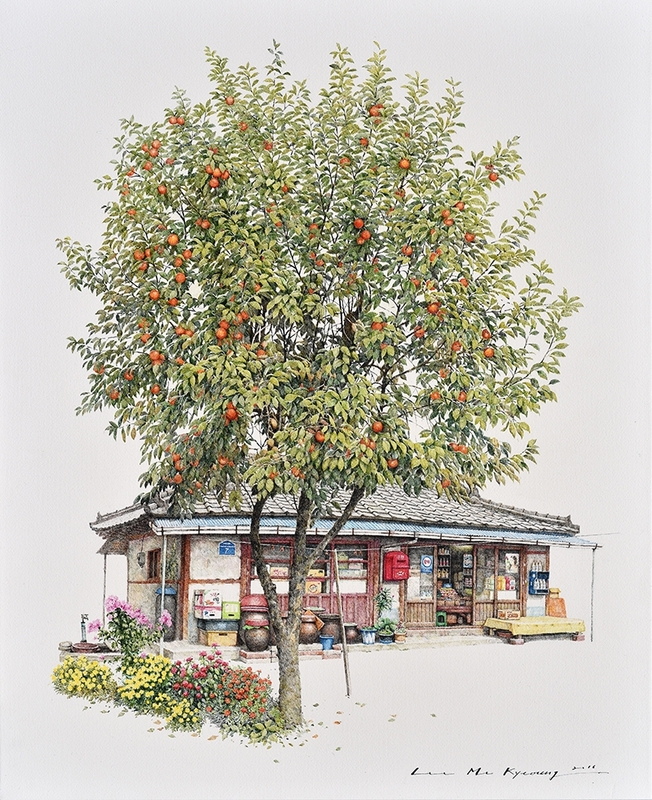 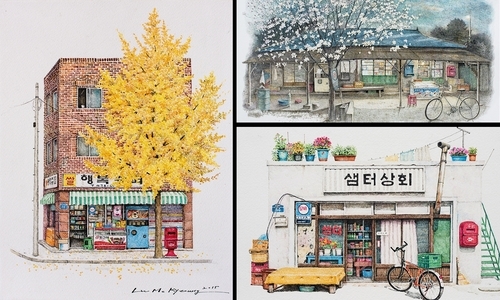 Drawings that link the past to the present, in South Korea. 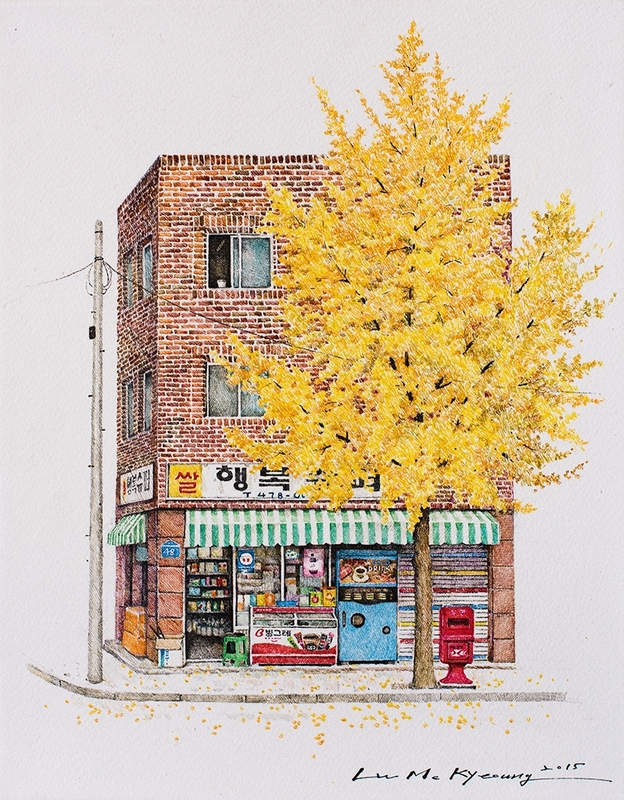 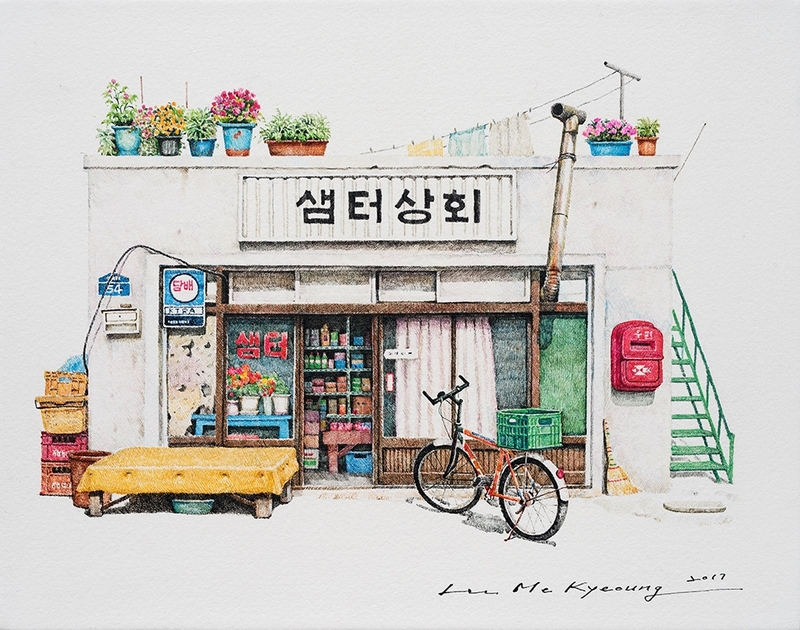 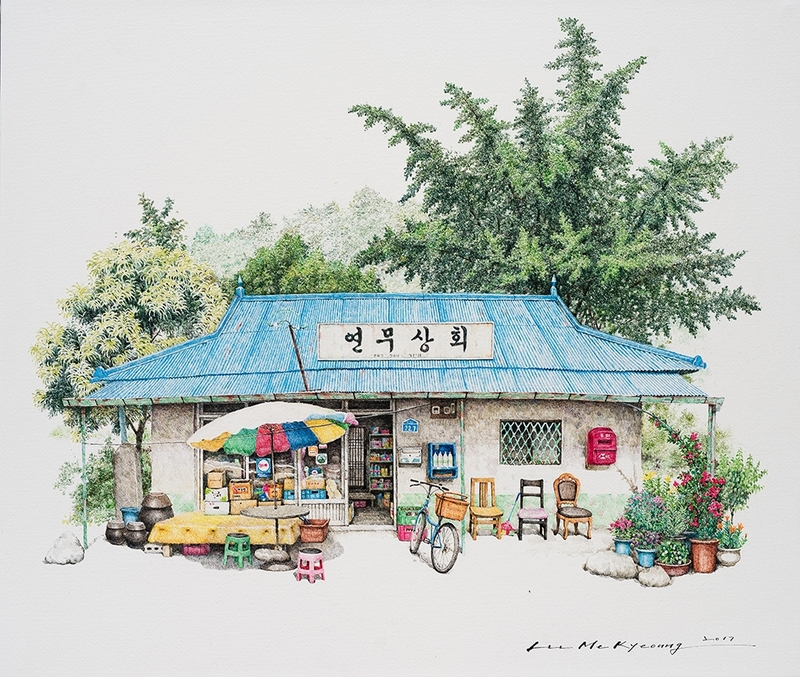 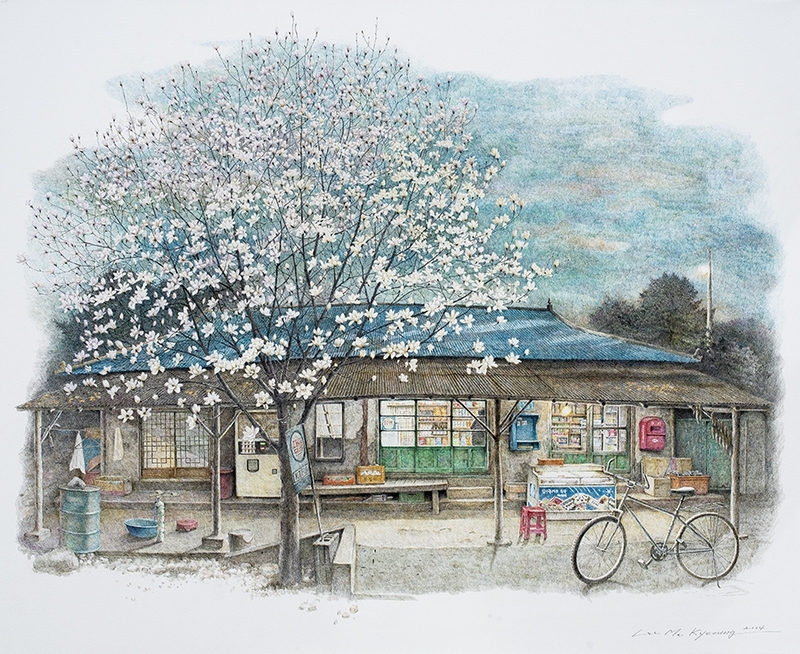 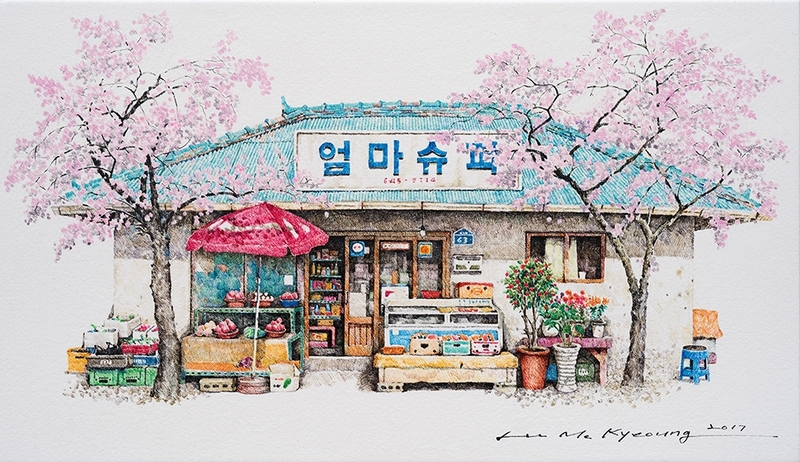 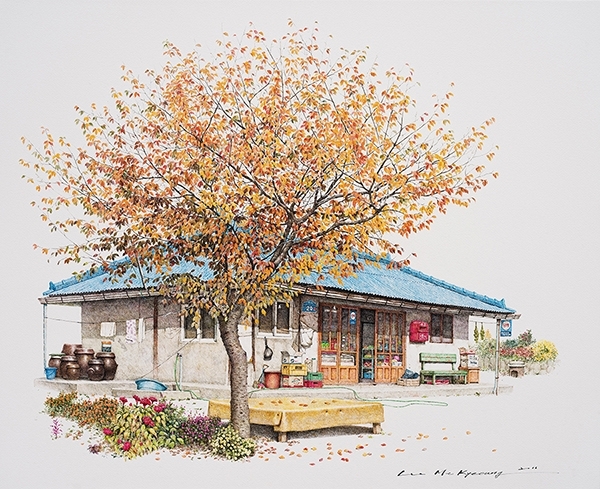 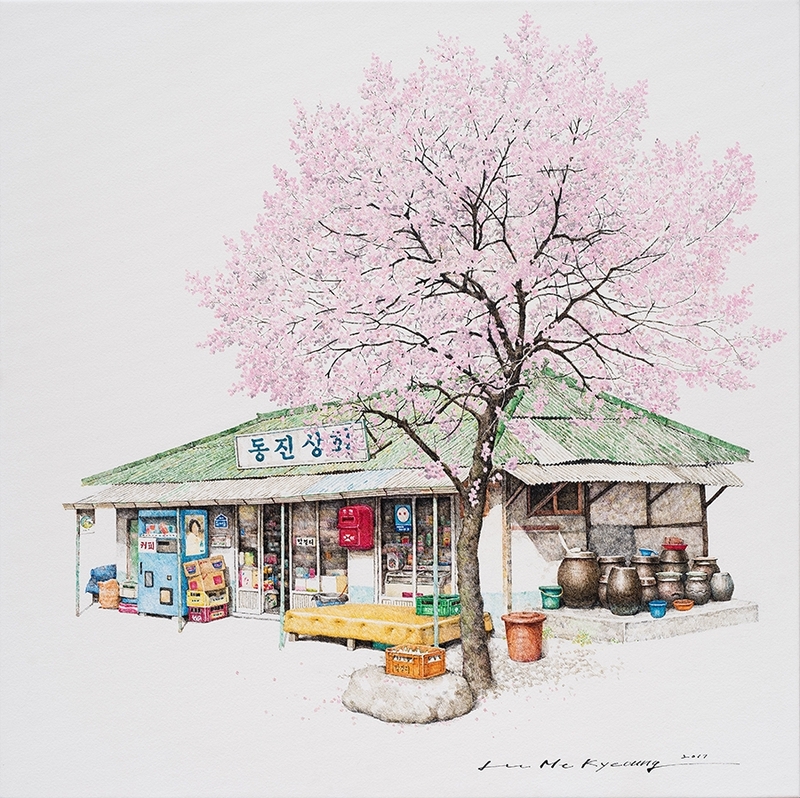 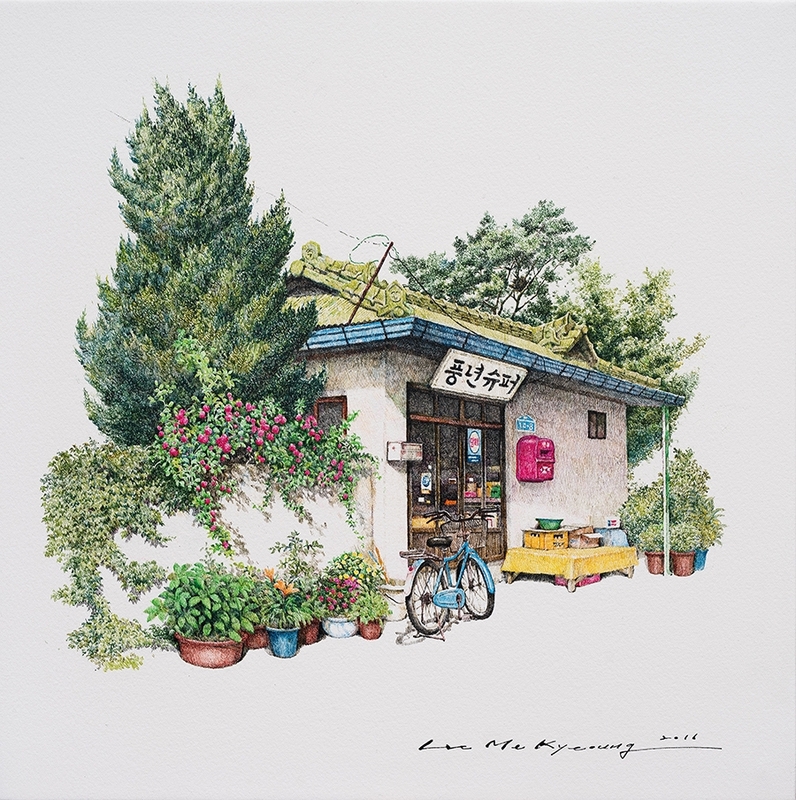 South Korean artist Me Kyeoung Leehas has fond memories of meeting her friends in front of these shops, to get together, to talk and enjoy each other's company, She has now been documenting these fascinating buildings and shops, for 20 years, always finding new ones to depict, never repeating the same one twice. 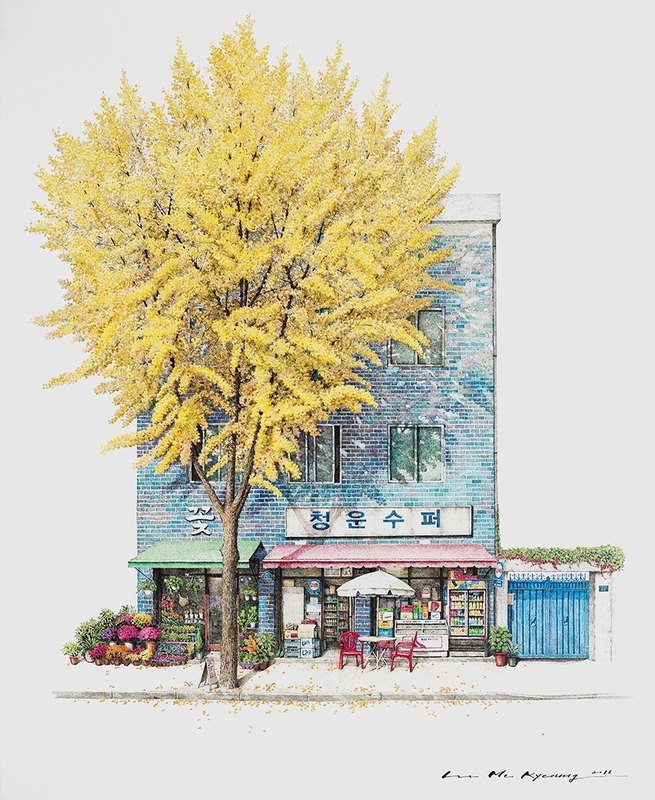 An estimate puts these businesses at 33k strong, but the look and the amount are morphing into more modern designs or replaced by bigger superstores. 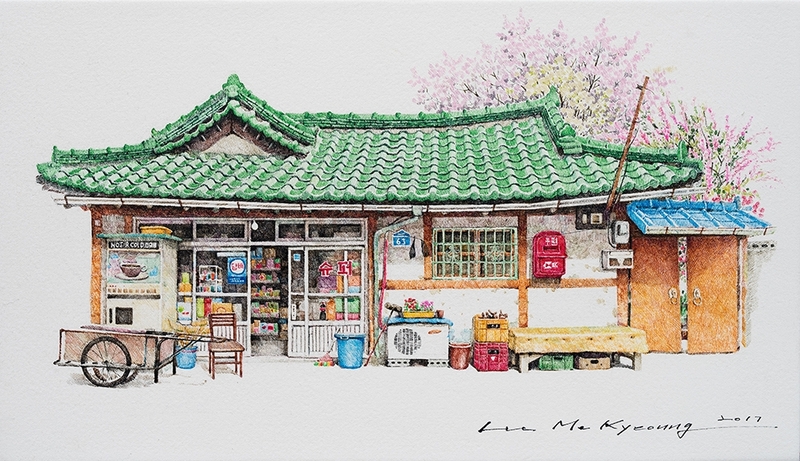 It's just as well, that Leehas has been and will be documenting them with her urban drawings, as a permanent reminder of this lovely marriage between design and architecture.